I love snorkeling. Love it. And I used to actually go snorkeling before having kids. Shark’s Cove (Pupukea Beach Park) was always a favorite location. Once you scramble over the boulders in the shallows and plunge into the deep water you’re treated to a fantastic snorkel spot. Lots of fish, giant turtles, and some cool underwater topography to explore. I spent a lot of time there in the past and I never thought it was one of the best Oahu beaches for kids. The surge is typically strong and knocks you into sharp rocks and urchins. The entry can be tricky and not very kid friendly. Turns out I was on the wrong end of the cove. The west side (toward Three Tables and Haleiwa) is more protected and has a sandy bottom. It’s full of babies and toddlers splashing in the shallows and preschoolers jumping off rocks or crab hunting. Bring along goggles, a dip net, and some reef shoes (the rocks are sharp) and you’re set for the day. You can even slip across the street to one of the tasty food trucks or Foodland for supplies. 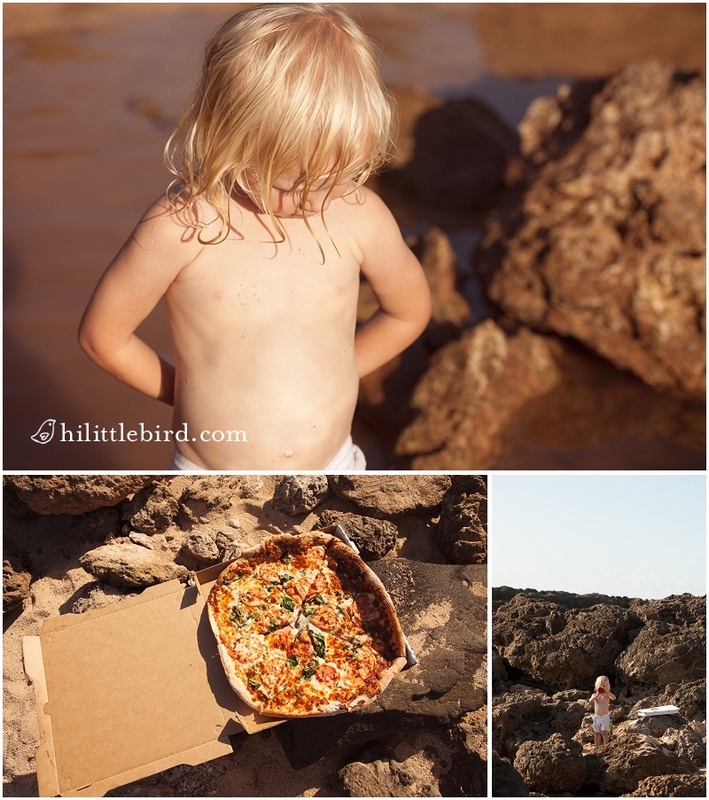 We opted for a slightly sandy beach pizza which is extra delicious when consumed at sunset. The beach gets hot during the day and a bit crowded, but mornings and evenings are perfect. We visited following some heavy rains and the normally blue, clear water was transformed into a murky brown. We braved it anyway. There were hermit crabs to be found. Looking for More Toddler Fun on Oahu? 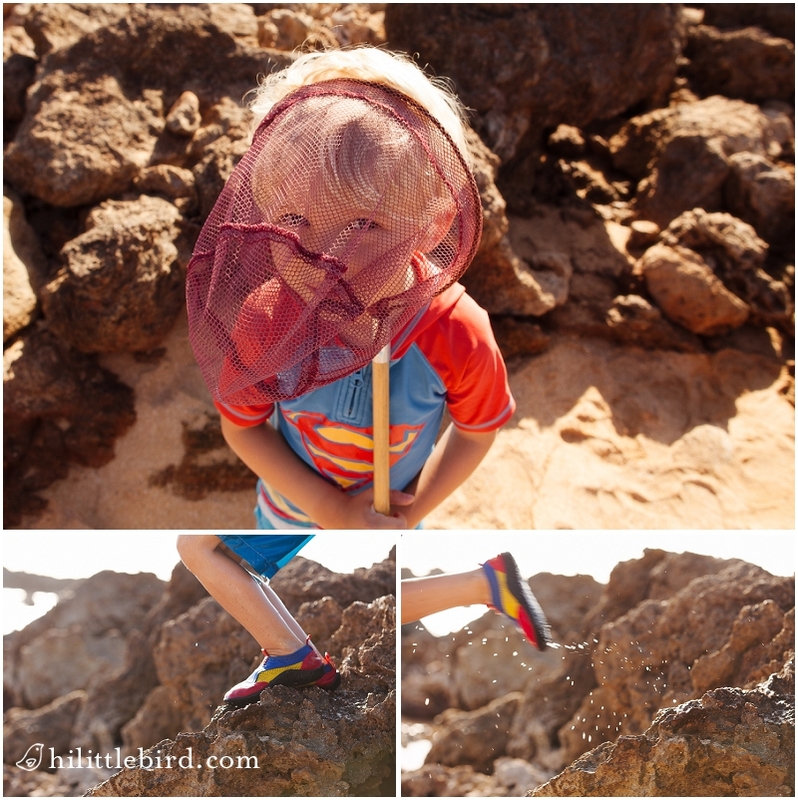 If you have a little explorer, head over the Keiki Monday archives for more kids activities on Oahu. And don’t forget to sign up for the Little Bird Post below to receive monthly updates on Oahu family fun!